Kentucky Youth Soccer is proud to announce applications are now available for the second annual John Gompper Scholarships for post-secondary education. 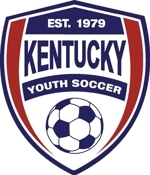 Eight, one year scholarships of $1,000 each will be awarded based on community service and giving back to the game of soccer to honor the memory of John Gompper for his outstanding services for soccer and Kentucky Youth Soccer. Students eligible for this year's scholarships are those planning to attend a post-secondary education institute for the first time in the fall of 2010. John Gompper was involved in soccer as a coach and an administrator for more than 20 years. He served as inaugural president of Kentucky Youth Soccer as the Region II Sub-Regional Director from 1983 – 1993. In addition, he served on several National and Regional committees during his long tenure in the game of soccer. The Scholarship Deadline is June 15, 2010. To learn more including eligibility requirements and to download the application, click here.